Door and window trim covers the gap between the frame and the wall and provides an elegant finish. As the casing defines a perimeter and is a highly visible feature, it should blend with the architectural style of the room. 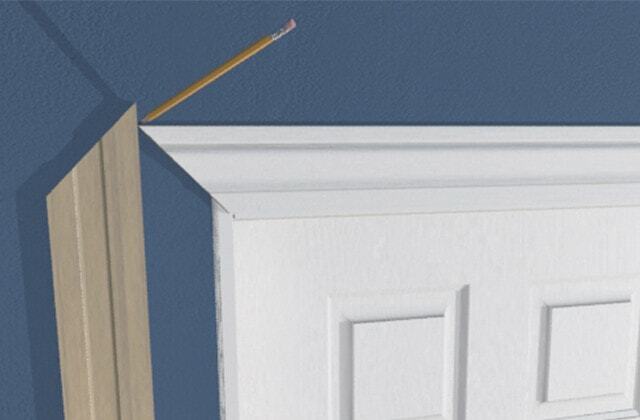 Installing moulding is a simple project for all skill levels. This project explains how to install casing with 45° angles at the corners. 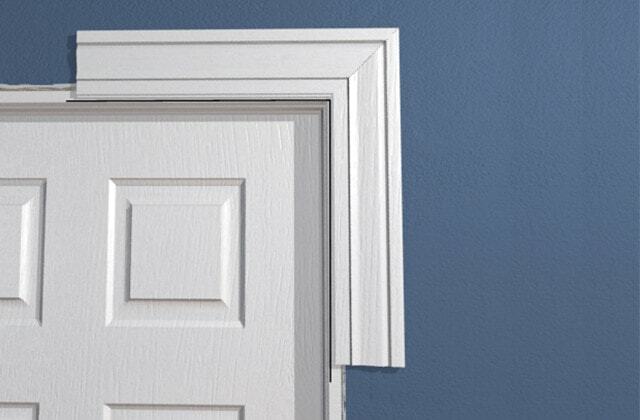 Using rosettes or craftsman-style trim requires a simpler 90° cut. 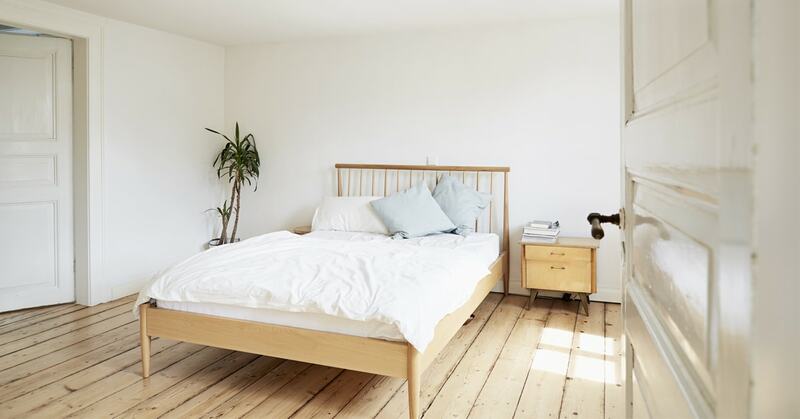 You can paint or stain your mouldings in advance. You'll simply need to touch them up a bit after, to cover the nail heads you've concealed with wood filler. 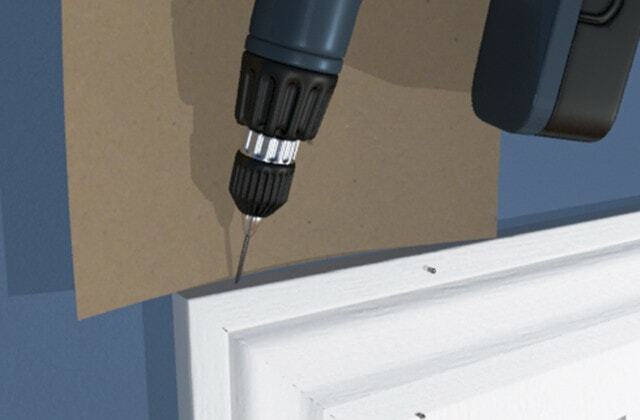 Pre-drill your nail holes so the mouldings do not split. Use a drill bit of a smaller size than the nails. 1.1 - Mark a reveal line 3/16" from the edge of the jamb on which to align the moulding. This space will be visible, uncovered by the trim. 1.2 - Draw this line on all sides of the frame. 1.3 - Check the mitre angles at the corners with two 12" test pieces cut at exactly 45°. 1.4 - Hold the test pieces on the marks at the corner of the jamb to see exactly how your trim is going to fit. If you see a gap, adjust the mitre saw accordingly so that the pieces fit together perfectly, and cut both pieces at the new angle. 2.1 - Place a piece of moulding along the top of the opening. 2.2 - Draw the cutting line from where the marks on the frame jambs meet, indicating the cutting angles. 2.3 - Lay the moulding flat on the mitre saw base. 2.4 - Cut the 45° angles. 2.5 - Using a level, position the moulding on the reveal line. 2.6 - Tack the moulding to the jamb. 3.1 - Cut two lengths of moulding slightly longer than required. 3.2 - Stand one length of moulding against the wall parallel with the door frame. 3.3 - Stand one length of moulding against the wall parallel with the door frame. 3.4 - Lay the moulding flat on the mitre saw base and cut the moulding at a 45° angle. 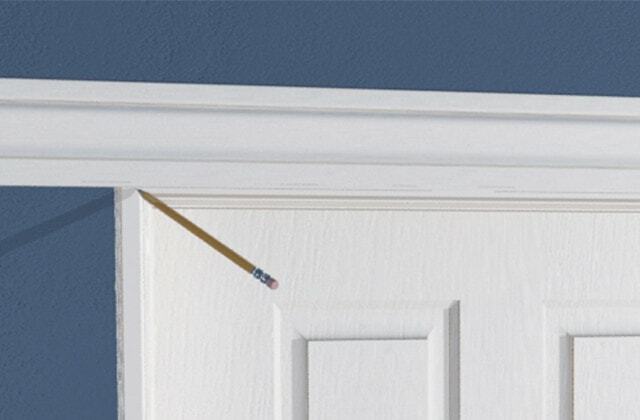 3.5 - Using a level, place the moulding on the jamb and adjust the length or the angle if necessary. 3.6 - Repeat with the second length of moulding on the other side. 3.7 - Once the angles are properly adjusted, apply wood glue to the surface and nail the moulding together near the angle. 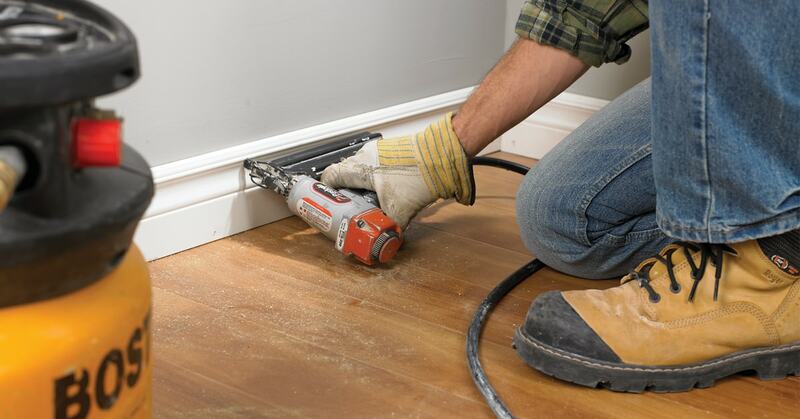 3.8 - Drill small holes in the moulding at 12" to 16" intervals, then tack the moulding to the jamb with 1" finishing nails and to the wall with 2" nails. 3.9 - Fully drive in the nails on the head moulding. 3.10 - Wipe off the excess glue. 4.1 - Carefully adjust the corners and pre-drill into the top of the head moulding 1" from the end. 4.2 - Nail the corners with 1/2" finishing nails. 4.3 - Finish all nailing on the trim. 4.4 - Countersink the nails using a nail set. 5.1 - Mark a reveal line on the perimeter of the window frame. 5.2 - Start with the head moulding using the techniques outlined previously. 5.3 - Measure and cut the side mouldings and adjust the angles of the upper corners. 5.4 - Tack in the side mouldings. 5.5 - Cut the angle of one end of the lower moulding and adjust. 5.6 - Measure and cut the angle of the other end of the lower moulding. 5.7 - Adjust all the corners until the fit is perfect. 5.8 - Glue and nail in all the mouldings as previously indicated.